Lillian F. Schwartz (B. 1927) began drawing as a child with a sidewalk canvas and brush of slate. In Japan during the occupation, she caught Polio. The treatment for overcoming paralysis consisted of learning to move her muscles until she could slowly draw with pen and ink. She never recovered from her stay near Hiroshima where shadow bodies that had been real people decorated remnants of buildings. Her early acrylics were often dark, bleak. She studied art techniques with well-know artists, but oils and acrylics were not enough. She moved them to plastic paintings over lights and to collages. 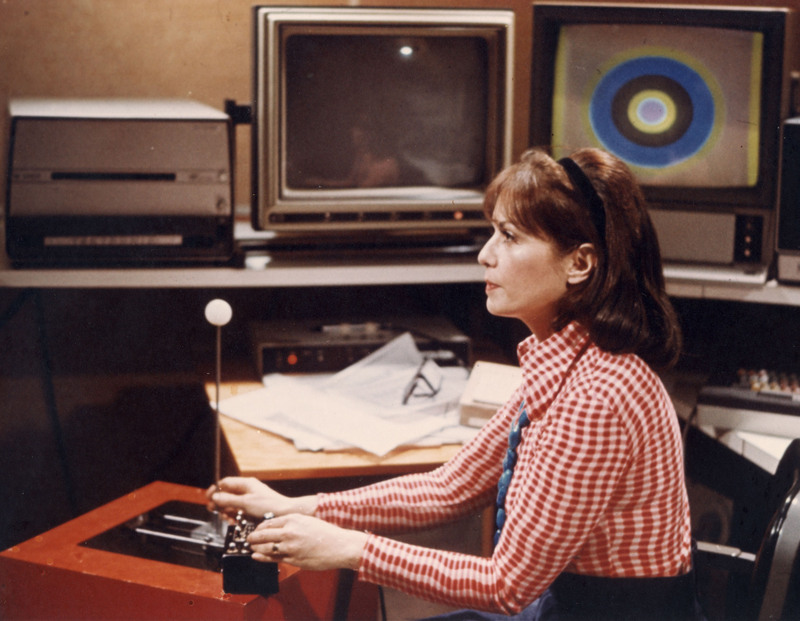 Then kinetic fluid in lit boxes, electronic mobiles, plastic imagery through changing the chemical composition, and then a complex piece in MOMA that led to her entry into Bell Labs in 1968 where she developed programs, special color filters and editing techniques, art and historical analyses, art films and graphics that could be viewed in 2D or 3D without pixel shifting. A pioneer, she created a new technique for 2D/3D. In her 80s, she sees films in her mind filled by grand whorls of imagination with her memory of images she had created. From poverty and a cement canvas to paralysis cured through precise practice with pen and ink, from oils to kinetic metals to 2D/3D, she pushed and pushes through each media to find something more, something forever, changing vision, perception, and knowledge of life’s war and peace.